Many congratulations to INTA Instructors Master Nicolae Mesina and Master Alan Troy on their promotion yesterday to 7th Dan. 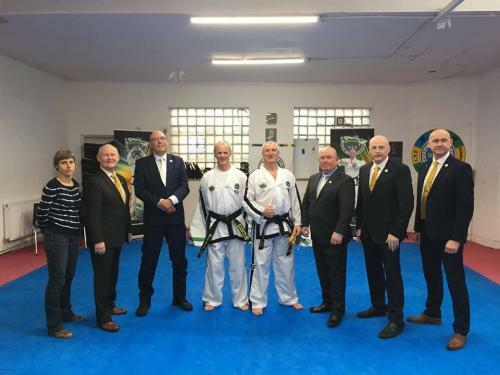 Both men tested under INTA's Grandmaster Brendan O'Toole and Grandmaster Frank Vanbergen of ITF Belgium in the Harold's Cross Club in Dublin on the 24th of November. This autumn's INTA Instructors & Technical Course (I.T.C.) was held in the Loretto Sports Complex in Fermoy, Co. Cork, on 10 & 11 November. 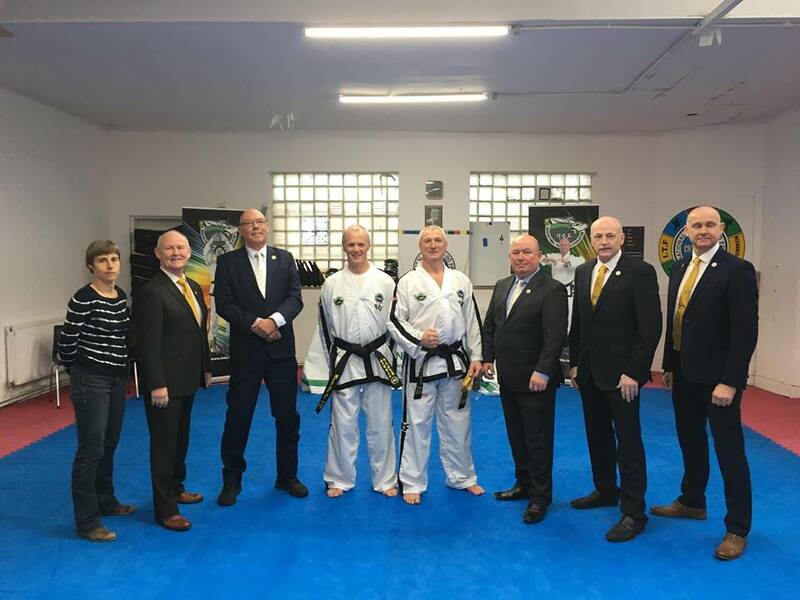 The seminar was hosted by Grandmaster Brendan O’Toole IX, Master Val Douglas VIII, Master Gerry Martin VIII, and Master Terry Donnelly VII. Saturday's start at 12 noon, and Sunday's early finish facilitated those travelling from afar. 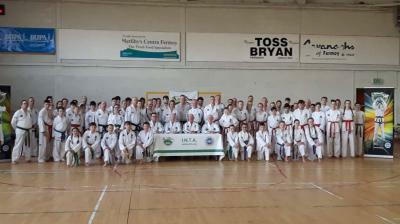 Over 80 students attended the weekend seminar; from yellow belts up to 7th Degree Masters. Saturday was open to all grades, and Sunday from red belt and up. The ITC included a module for the Instructors course covering topics such as Setting up your club, Maintaining your club, Promotion, and Advertising. This course will is part of the instructors criteria for any instructors wishing to open a club in the future. 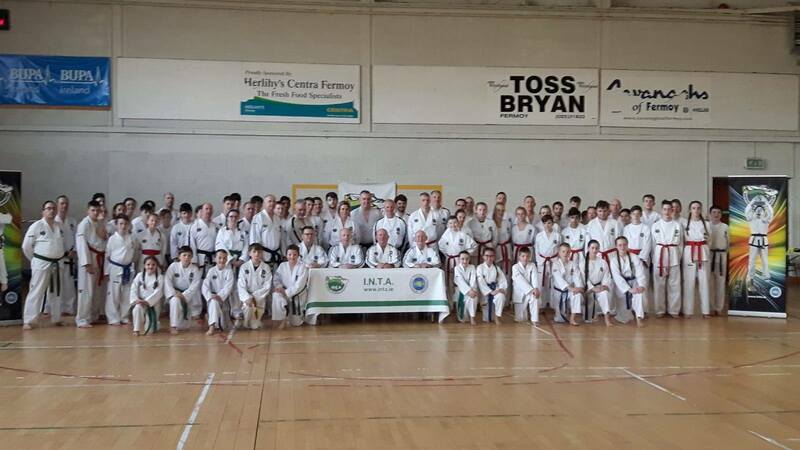 The INTA would like to extend a warm welcome to Mr Stephen Whelan and the students from Tallow Taekwon-Do Academy in Waterford. 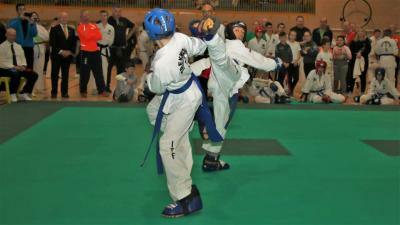 The INTA held its annual National Championships in Gormanston sports complex 'Aras Preston' on Saturday 20 October. The hall had been set up with six 9x9m rings and one centre ring of 10x10, all which filled the width of the 100x50m hall nicely. Competitors from as far as Cork and Waterford, and from Northern Ireland, arrived early for the 9:45 start. At the line-up the 75 umpires were joined by Mr Condon (VI degree, Chief Umpire), Master Stobie (VII degree, Head of the Umpire Committee and Head Organizer), Master Fagan (VII degree), Master Donnelly (VII degree), Master Franks (VII degree), Master Martin (VIII degree), Master Douglas (VIII degree, Vice President of the INTA), and Grand Master O'Toole (IX degree, President of the INTA). After the introductions, all competitors of 13 years and under received their participation medal. The tournament started off with the fun overhead kick for all those of 13 years and under. To get the younger children home as soon as possible, next up were the "8 years and under" divisions. Each division did patterns in their designated ring, immediately followed by sparring in that same ring. This was repeated for "9 & 10 years" thereafter, etc, with the 18+ senior divisions running in the late afternoon. We received very positive feedback on this running order, and will implement it in the upcoming INTA Open 2019 as well.